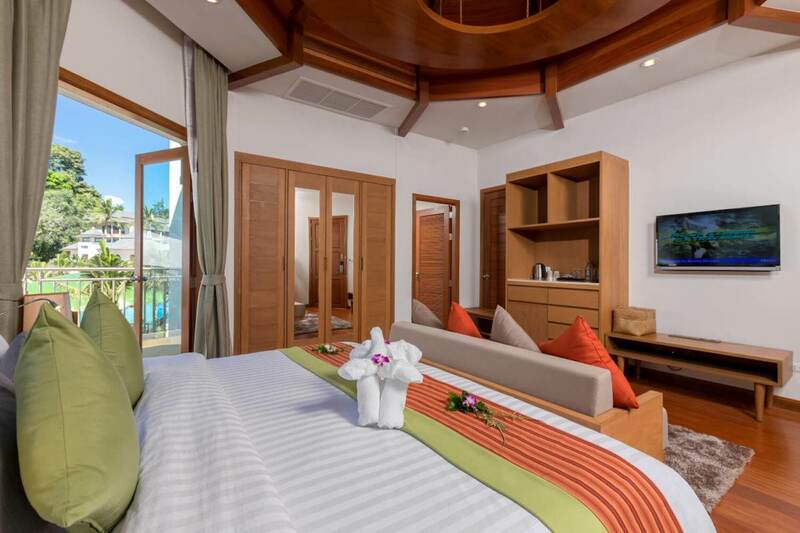 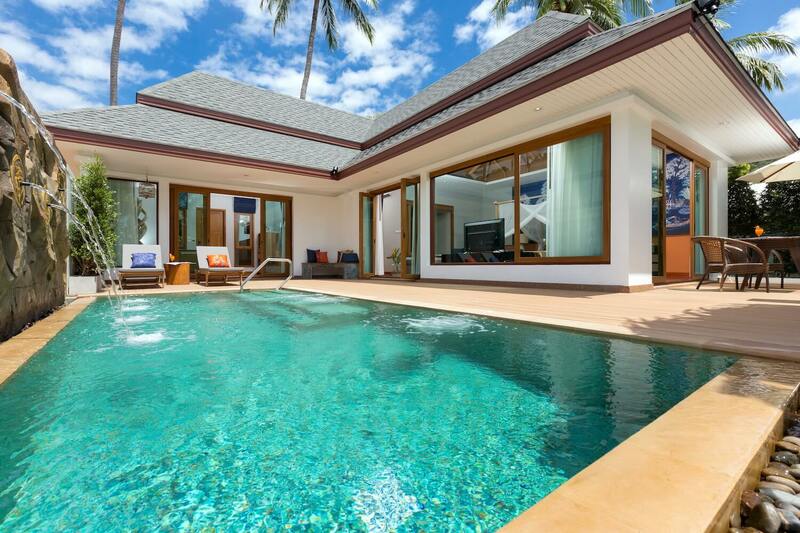 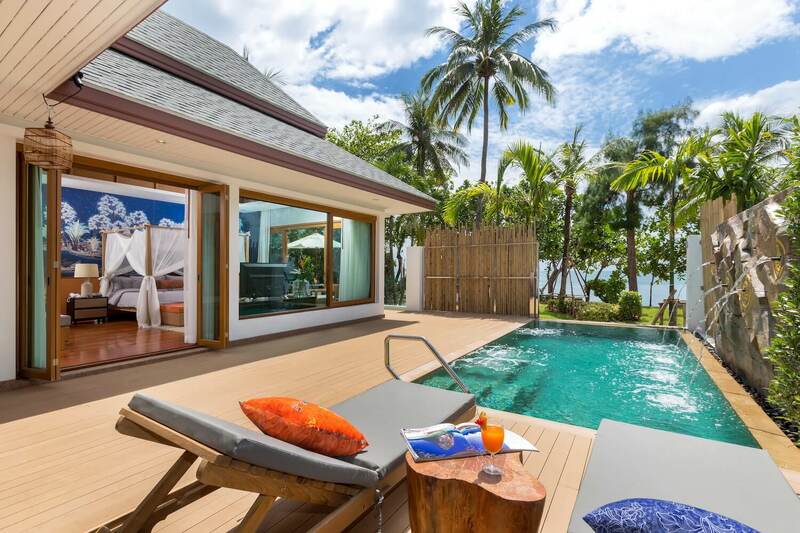 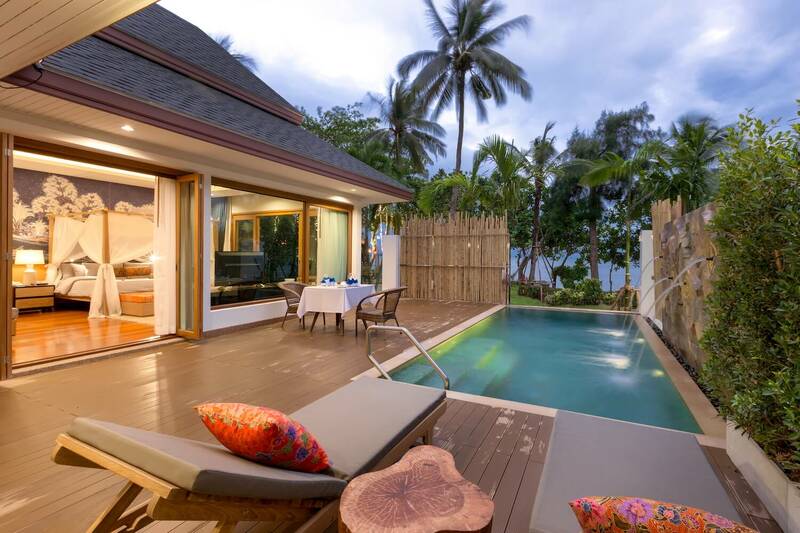 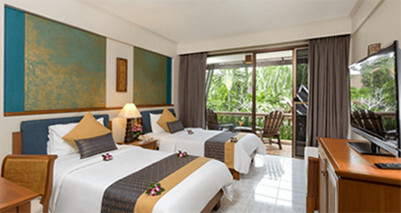 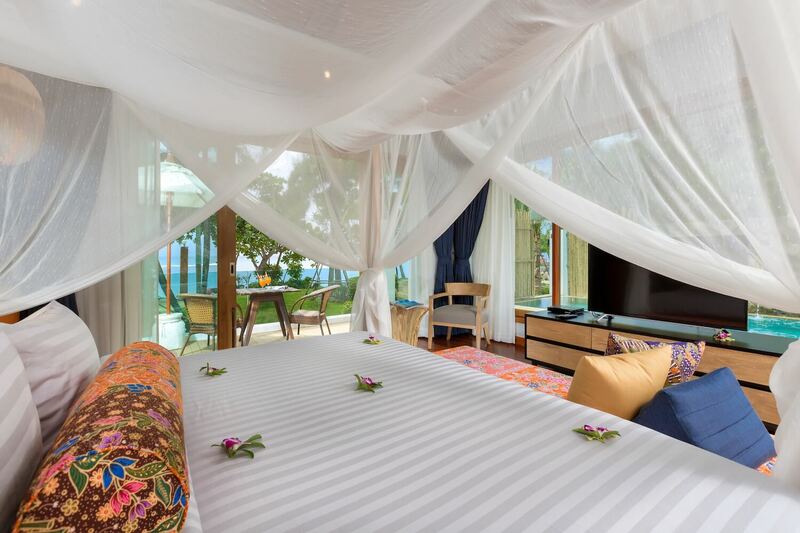 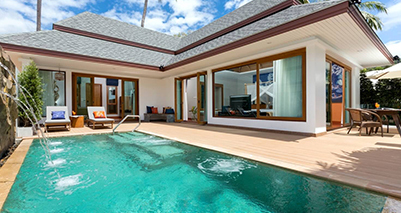 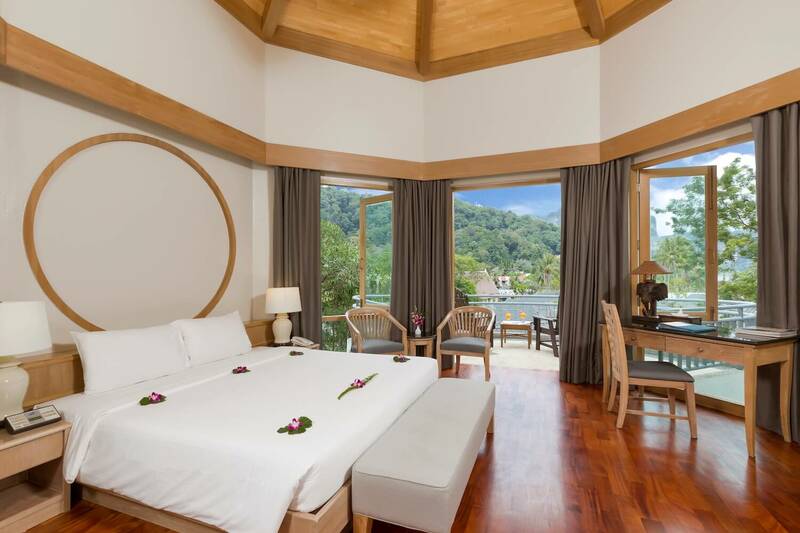 Villas and Suites : Krabi Resort Ao nang - A Thai traditional style resort in Ao Nang with a private beach access. 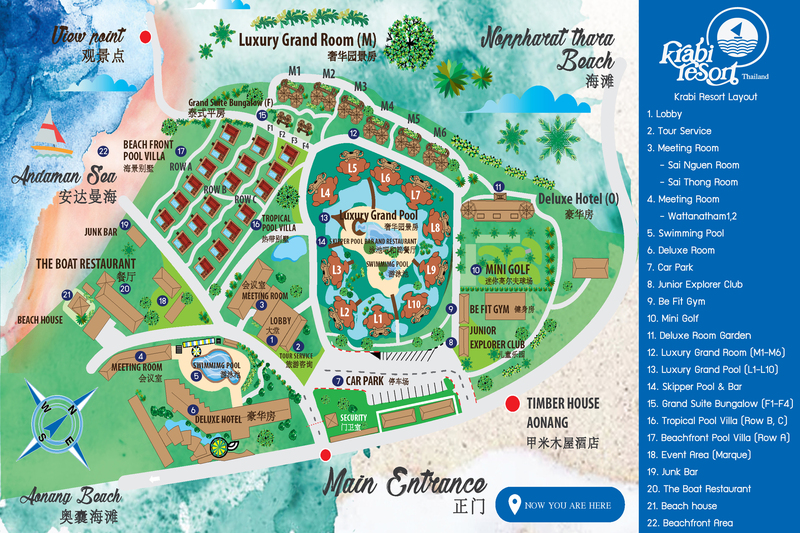 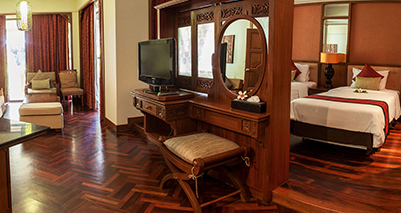 We provide 215 quality accommodations on hotel buildings, bungalows as well as villas, spreading around our tropical gardens, mountains and virtually unspoiled nature. 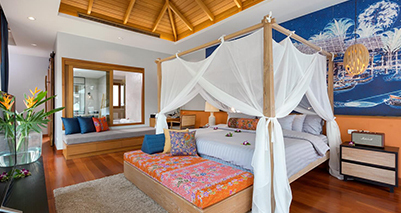 Each guestroom has been tastefully designed with either Thai traditional theme decor or Contemporary modern design with oriental touch. 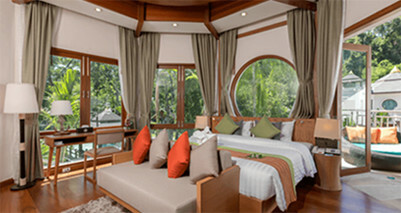 All of which have private bathroom and balcony as well as fully equipped amenities.